The Karma Couch: Motivation for Monday: Don't Panic! Motivation for Monday: Don't Panic! What’s on your agenda this week? We all have a million and one to do items and projects to tackle and the mere thought of that list might be overwhelming. The stress of it is probably creeping into your awareness right now. But I challenge you this week to make a different choice! Did you know most of us believe that if we don’t stress or don’t panic we won’t get anything done? It’s a mostly unconscious but deeply ingrained, limiting belief. 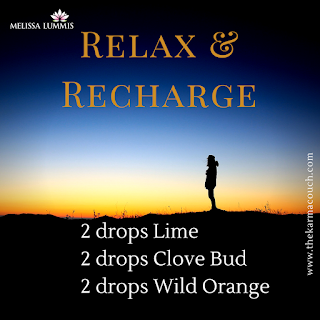 So here’s your challenge...mix up this relaxing essential oil blend in your diffuser (your diffuser can simply be a cotton ball) and take a deep breath. Close your eyes, and on the exhale release any stress or tension you’ve created already this morning. 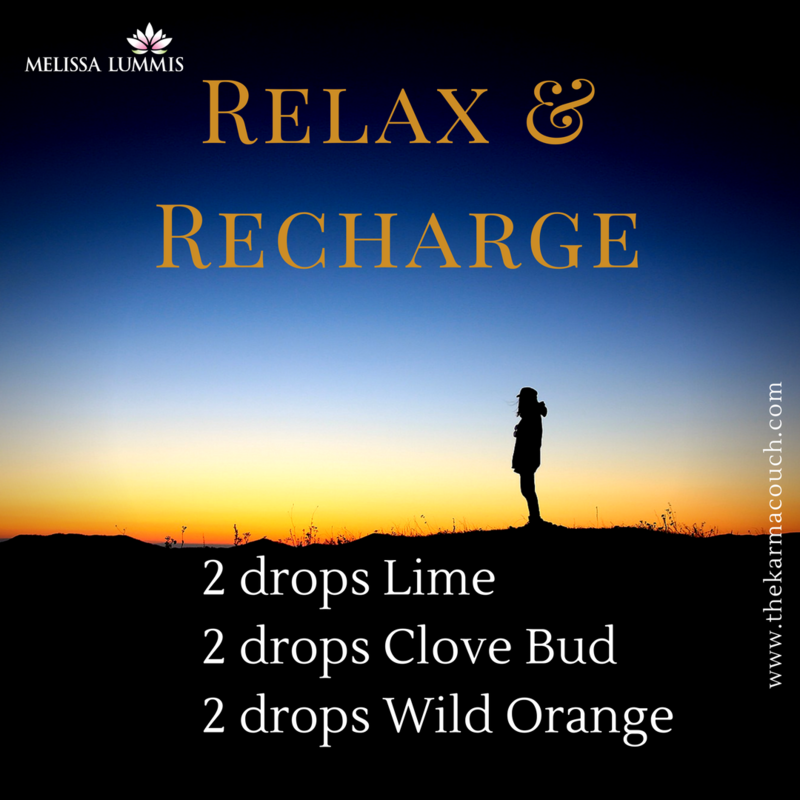 Whenever that tendency to stress out or panic surfaces during the day, use your essential oil blend and your new, empowering belief statement to change your reaction. Don't have any essential oils on hand? Do the exercise without them and then go check out my doTerra website for info on my chosen essential oil brand-->My doTERRA Website. FYI, as all my peeps already know, I am an essential oil enthusiast and a Wellness Advocate for doTerra. If you chose to enroll in doTerra to get the biggest savings through this link --> Join & Save -- I will be your guide! (and I will earn some commissions too). Remember to do this exercise as often as needed, and at least in the morning. You don't change a lifetime of limiting beliefs in a minute (not usually, at any rate). Give this practice a few days and then let me know how your week is going!